Around the time I was a graduate student, I was asked by the Trappist Monastery to come up with a statue of the Holy Mother and Child. It was this work that sparked my interest in sculpting in wood. I created a work of more than two meters using camphor wood, and the task inspired in me the desire and response to make a living as a sculptor. Oshima Tobetsu Station is near the sea and the road that leads from it to the Trappist Monastery is surrounded by fields and lined with trees. Walking along the tranquil road, a Western-style church appears directly in front of you. 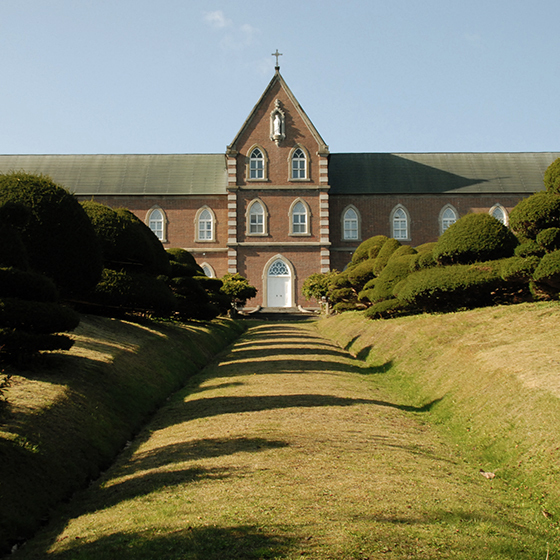 When I was taken to the Trappist Monastery for the first time by my uncle, who lived in Hakodate, he did not tell me what kind of church it was. 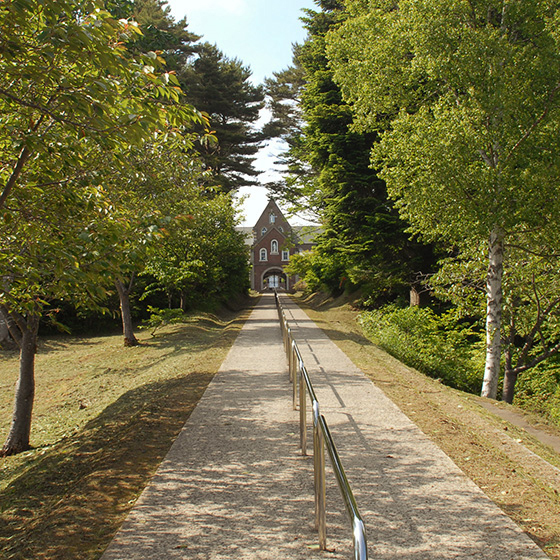 Along the way he informed me it was a Trappist Monastery, and I remember feeling suddenly nervous. 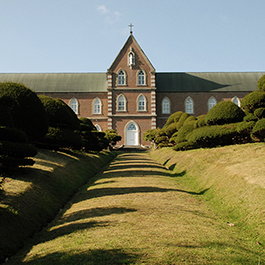 For Japanese Catholics, Trappist Monasteries represent a significant presence. Nevertheless, everyone at the monastery treated me kindly and with affection. 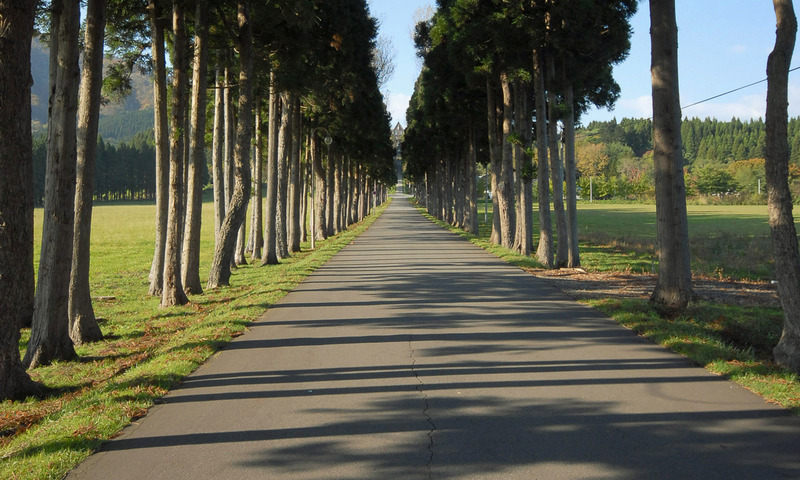 When I walk along a road I observe the surrounding scenery and things that catch my eye carefully. Even when travelling abroad, I am constantly thinking about what might lie further ahead, and often get sidetracked. I would be able to make it as a sculptor even if I were not particularly skilled, but I don’t think I could create sculptures if I lost my sight. “What is my relationship to this road or location?” That is the perspective I have in mind as I walk along. Around 10 years ago when I revisited the Trappist Monastery to get material for a television program the green fields were still as beautiful as ever. 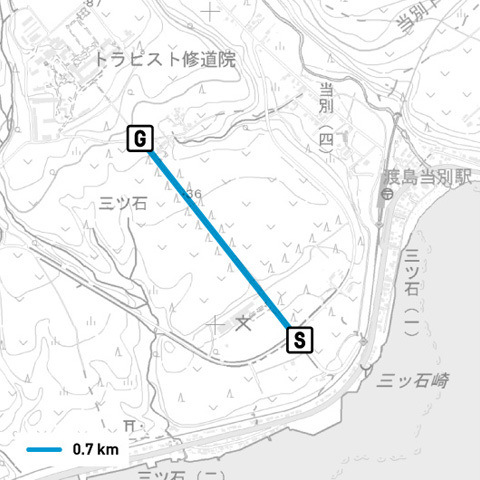 There are few private homes in the vicinity, and the monastery is the only thing there. Everyone at the monastery, beginning with the priest, is unassuming and natural. The place may give off an air of spiritual discipline, but the road gives off a sense of that simplicity. Born in Morioka City in 1951, Katsura Funakoshi has consistently worked on sculptural expression using camphor wood. 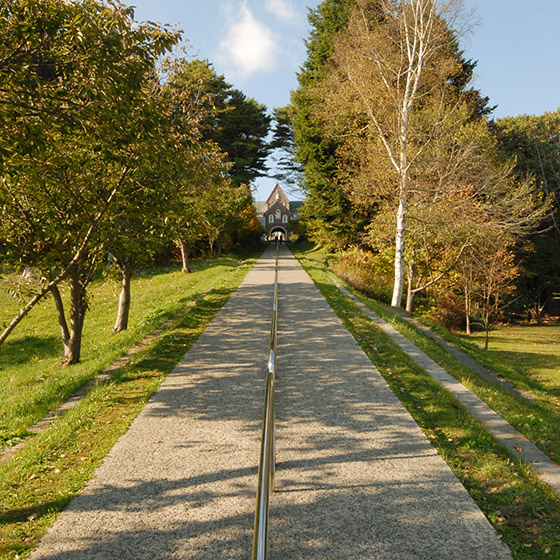 In addition to the 43rd Venice Biennale in 1988 and the Katsura Funakoshi Exhibition, which ran at the Museum of Contemporary Art Tokyo and toured five other museums in 2003-2004, his work has been exhibited in a large number of exhibitions both inside and outside Japan.